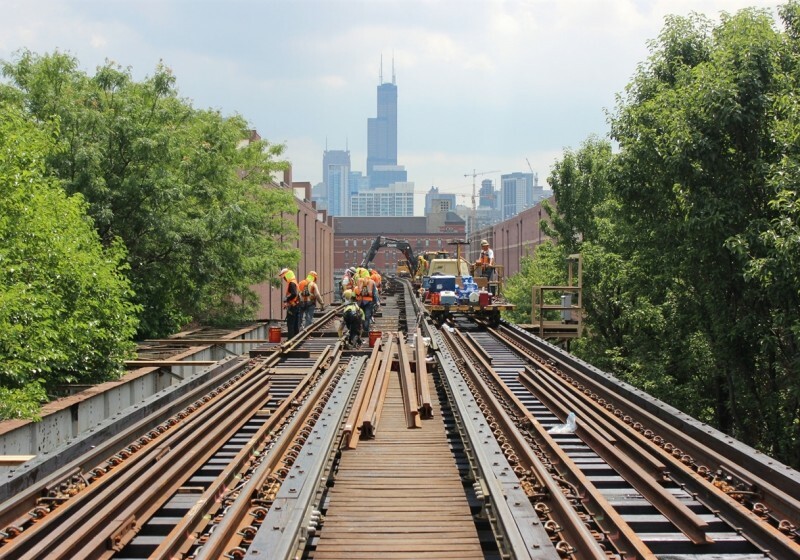 The Chicago region’s transportation system needs $24 billion over the next three decades just to keep our highways, buses and trains operating in their current condition, but that money is nowhere in sight, according to the Chicago Metropolitan Agency for Planning. 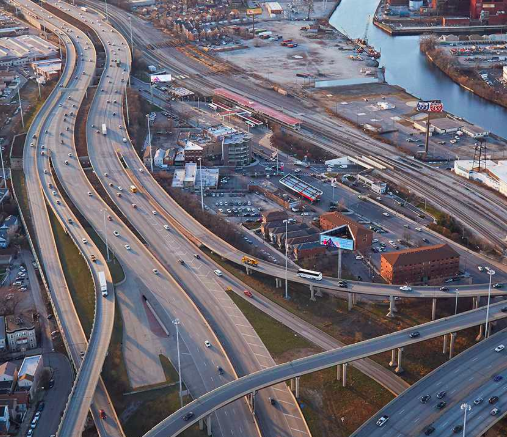 That’s the dire outlook contained in the agency’s newly approved comprehensive plan, “On to 2050,” which guides transportation investments and outlines regional priorities on development, the environment, the economy, and other issues affecting quality of life. The new plan, three years in the making, was rolled out Wednesday at an event at Millennium Park attended by an array of public officials, civic leaders and concerned citizens. But unless legislators in Springfield, among others, pay attention to the document’s reasons and recommendations and take action, the status quo won’t change. “Systemic shifts are leading to declining revenues, and structural problems make current revenue sources inadequate for maintaining and operating the system,” the plan notes. For example, revenues generated from the federal and state motor fuel taxes (MFTs) have lost significant purchasing power due to inflation. Meanwhile, average vehicle fuel economy has been rising and vehicle travel has been stagnant, resulting in less fuel consumption. Experts say Illinois needs to invest $43 billion over 10 years to improve roads, bridges and rail lines and tackle a maintenance backlog. Estimates say motorists are already wasting more than that amount on vehicle repairs due to poor roads; time lost in congestion; and loss of population and jobs to neighboring states. The state’s gas tax, currently at 19 cents per gallon, hasn’t been raised in 25 years. The gas tax hike, along with an accompanying 50 percent increase in vehicle registration fees, would cost the average person $12.25 a month, or $147 a year. That’s about one lunch tab a month or a Netflix charge, the argument goes. The recommendation to begin “an honest conversation” on hiking the gas tax came Monday from the Metropolitan Planning Council, an independent, bipartisan, nonprofit civic group. MPC’s board consists of many movers and shakers from Chicago banks and businesses. MPC issued a detailed analysis (http://metroplanning.org/transportation) of its proposal, which it said it compiled after a year’s worth of discussions with transportation officials and other experts. Pace has unveiled a new strategy to improve its DuPage County service, introducing a brand-new route along busy Ogden Ave. and restructuring several routes serving Metra stations. The plan would significantly increase the number of BNSF trains served by these restructured routes and give riders more flexibility, Pace said. The strategy targets what transportation experts call the “last mile,” the gap between a commuter’s home and his/her mode of public transit. In suburbs like Naperville and Downers Grove, Pace tries to fill that gap with bus service to and from some of Metra’s most-used stations. Pace’s plan, which the agency said represents a $1 million investment, could go into effect this June. But first, Pace will hold public hearings to discuss the proposed changes on March 29, 30 and 31. The affected communities include Naperville, Lisle, Downers Grove, Woodridge and Lombard. These communities largely feed Metra’s busiest line, the BNSF, which carries some 64,000 riders each weekday on 94 trains. 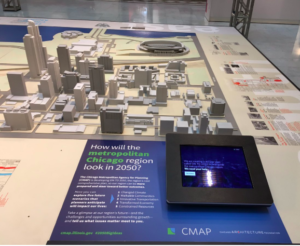 Mike Bolton, Pace’s deputy executive director for strategic services, told the Chicago Transportation Journal that the changes came about through an ongoing analysis of ridership. Using data from the new Ventra fare card and other programs, Pace found it could combine some portions of existing routes in both the morning and evening to get better ridership on the trips and we also meet more trains, Bolton said. Gov. 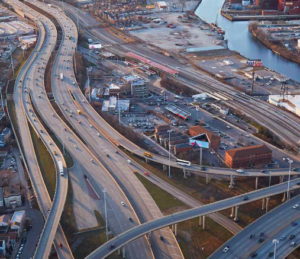 Bruce Rauner’s efforts to end the political bottleneck in Springfield have stalled so far, but he might have better luck with a new proposal to ease the chronic traffic jams on the Stevenson Expressway (Interstate 55). Flanked by state legislators from both parties, Rauner on Thursday announced support for a plan to widen 25 miles of I-55 with so-called “managed lanes.” Under the concept known as congestion pricing, these lanes would be tolled, depending on the amount of traffic, and could be used by carpoolers. Rauner called for exploring a so-called Public Private Partnership, or P3, between the Illinois Department of Transportation and private investors to develop the project. The investors would provide the funding, estimated at $425 million. In return, the investors would recoup toll revenue for construction, operations and maintenance. Plans for adding tolled lanes to I-55 are not new. Transportation planners have advocated the managed-lane concept for years. In December, Rauner’s transportation secretary, Randy Blankenhorn outlined the project at a public hearing in Countryside.